“E-commerce” is the only word that comes to mind when we think of taking businesses to the next level. 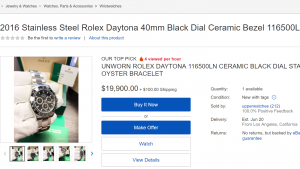 The massive success of ecommerce companies like Amazon, eBay, Macys etc. is also encouraging others to tap into the online marketing place to earn an increased revenue. Just setting up an e-store will not serve your purpose, which is to earn revenue. In order to sell your products or services to your online customers you will need to adopt effective ecommerce sales strategies. Only then you will see the results that you came for. You can further improve the user experience by introducing gamification to your website. This will encourage users to leave reviews in exchange for incentives. User reviews help customers make better buying decisions. Therefore, e-commerce sites with user reviews for its products offer a better user experience to its customers. Here is another example of customer review for a product on Amazon.com. Send out post purchase emails to your customers requesting them for reviews on the products they have just purchased. Do not forget to thank the customers for reviews. Scout for the reviewers who expressed their opinions about your products on a different platform than yours. Sentiment analysis tools like Social Mention can help you achieve this goal. For customer reviews, you can rely on Yotpo which sends automated follow up emails after a purchase. The emails contain a review form which allows the customers to leave their opinions in the mail itself. 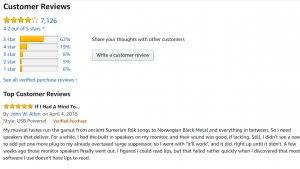 Since they do not have to go to another page for posting the reviews, they are more likely to oblige. Yotpo collects reviews from the customers who have purchased from the site. Not just reviews, users can also send images of the products they bought along with the feedbacks. This helps other customers understand the e-commerce product better. Genuine customer feedbacks deliver better SEO ranking, an increased traffic and a considerable boost to your sales. 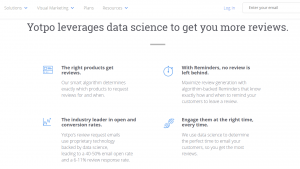 Yotpo can generate an impressive volume of user responses by using data science technology, which determines when is the right time to send the follow-up emails to the customers. It can also personalize the follow up emails depending on the kind of device a customer is using. Tech21 is UK’s top brand for tech accessories and it managed to generate a large number of user reviews for each of its products after it started using Yotpo. 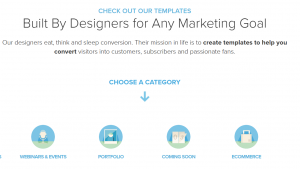 Tech21 chose Yotpo over two other email marketing companies for its unique post purchase review collection feature and the uncomplicated user interface. Below is an example of a Yotpo supported customer review on one of Tech21’s products. If you are looking to boost sales on your e-commerce website, you need to first think about reviewing the current issues like the web traffic, online pricings, conversion rates, the current strength of your brand, competitor’s strategies etc. You also need to perform some keyword research and find out the keywords used by your competitors. An in depth review of these factors will enable you to understand where you stand now and what is needed to jumpstart the online business. ADONIS: CE is a free business process modelling/analysis tool that helps businesses to analyze and improve their current processes. You can download this tool for free and start using right away. It is highly user friendly, so even if it is the first time you’re using such a tool, ADONIS:CE will still be easy for you to use. The tool analyzes every aspect of your company to determine the strengths, weaknesses, and threats. Users will first need to register to download the tool. The landing page of your website must have all the essential elements required for lead conversion. It is where your prospects will land up after flowing through the different stages of your sales funnel. So it should essentially deliver what you promised in the advertisements or content which brought the users to your page. You can make some special offers to your prospects, like percentage discounts or free delivery, in order to coax them to convert into a paying customer. 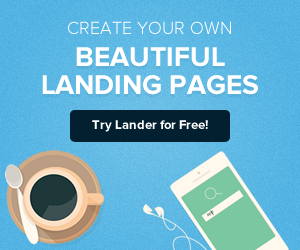 Landing page building websites like Lander provide easy and effective ways of creating an appealing landing page for your product. 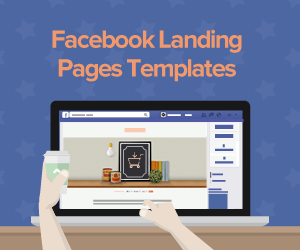 All you have to do is select a landing page template from Lander based on your requirements and customize it to your needs. 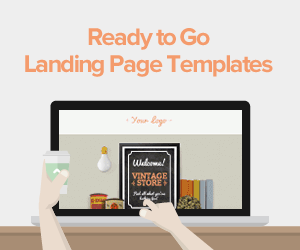 Your landing page will be ready in minutes. 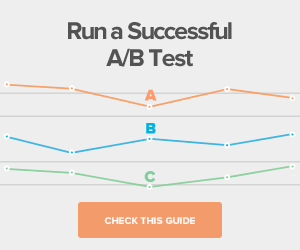 Lander also comes in with an A/B tester which allows you to review up to three separate versions of the landing page. Dotted Music increased the conversion rates on their landing pages to 43% straight from 19% by using Lander and its A/B testing feature. 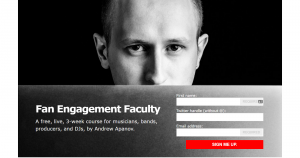 According to Dotted Music founder Andrew Apanov, it only takes about 3 hours for creating a simple page using Lander. The calls to action are comprehensible and placed strategically. The copy is easy to read and the layout consists of concise paragraphs or bullet points. There should be a proper balance between graphics and copy. Visitors can easily locate your contact information on the website. The website is compatible on other devices like mobile phones. Nixon.com, an online retail store, presents a very impressive example of how websites should be. Its focus on the UX is admirable as it has everything relevant within eyeshot, so that visitors won’t have to try too hard to find something on the page. You can even see at the top of the page there are two links for customers looking for specific services. Websites offering a more personalized experience for their customers are better liked by the users. Design your e-commerce strategy to suit individual preferences. Analyze the needs of your individual customers by following their buying behaviors. Provide personalized recommendations based on their earlier purchases. 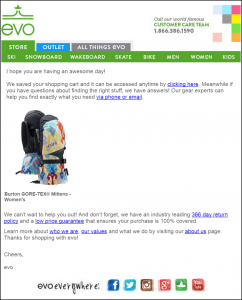 Send out email reminders to the customers who abandoned a purchase mid way. Send emails using email marketing solutions to thank your customers for their purchases and also include personalized product recommendations in the emails. The product name, description, images etc are unique for each product. The title and the url of each of the product page should have the product name. Create high quality product descriptions. You can create a catchy micro-copy for this purpose. Include multiple images of the product for a better understanding of the customers. Request the most satisfied customers to write a review and link them back to your product pages. This will improve your page’s ranking on search engines. According to a speculation by eMarketer in 2018 the total value of retail sales, both online and in-store purchases, will be somewhere around $28.300 trillion. In the recent years the retail industry has experienced a major switch towards e commerce and the trend is continuing. Only effective strategizing can help businesses looking to take advantage of this highly conducive climate in the realm of e-marketing. However, to ensure that you benefit in the long run, do not focus on selling your e-commerce products alone, but attach as much importance to building long term relation with your customers as well.